The 8th and 12th placed teams on the AFL ladder clash on Friday night in Melbourne and it’s one of the more important games of the season. North Melbourne, currently in 8th position, started the season with a 9-0 record but have only managed one win in their past seven games. Collingwood (12th), a team that at no point has looked like a finals contender, is making a late run at it with three wins in their last four games. But this game means even more to two teams who aren’t playing, St Kilda and Port Adelaide. 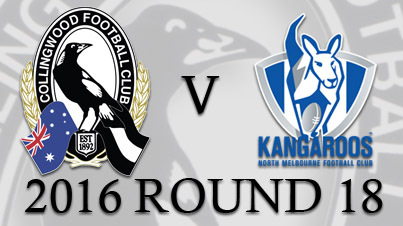 If the Magpies can defeat the Kangaroos on Friday it will go a long way to giving one of those teams a chance of playing finals in 2016. Collingwood will go into the game with more confidence that North Melbourne too, simply based on form over the past month or so. The Pies went to Adelaide last week and took it right up to one of the premiership favourites, the Adelaide Crows. After a slow start the Pies closed to within 8 points in the second term but eventually poor ball use under pressure led to a 28 point loss. 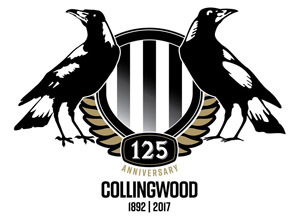 It was the first defeat that Collingwood had suffered in a month. The Kangaroos on the other hand would take any win, any how, at the moment. They’ve only won one game since starting the season 9-0, and that was against lowly Richmond. Last Saturday at Etihad Stadium, the Roos had a chance to all but kill off Port Adelaide as a finals challenger, but they let that opportunity slip with a woeful start. Although they tried to fight back North eventually went down by 28 points. Recent history between these two favours Collingwood with the Magpies winning the past 2 games and 7 of the last 9 clashes between the two. The loss to Adelaide ended the Pies longest winning streak of the season, but there was still plenty to be positive about. Adam Treloar, Taylor Adams, Brodie Grundy and Scott Pendlebury excelled in the middle, although once again the lack of depth after that saw the Crows win more centre clearances. Grundy in particular is in career best form, taking on and defeating some of the best ruckman in the AFL over the past month. The 22 year old could already be classified as one of the best all around ruckman in the game, at least on form, with the only weakness being the hitouts, an area he still has to improve in. The Pies ball use was bad in Adelaide though, it was the difference in the game really. The Crows hit their targets going insider 50 while time and time again the Magpies simply didn’t. It made it a tough night for the forwards and it showed with very little return from any of them. Travis Cloke was the best of the key forwards though, as he continues his comeback from a form slump earlier in the season. The Pies will be hoping to get Alex Fasolo back this week after the enigmatic forward missed the trip to South Australia with shoulder soreness. Fasolo is close to the most important player in this Pies side now, he can be relied upon to get his 2-3 goals a game but he also sets up just as many. Fasolo also takes one of the opposition’s best defenders out of the game. With the continued absence of Jamie Elliott and Dane Swan from the forward line Fasolo may well be the key to this game, and the Pies chances in remaining games. In the VFL there were once again plenty who put their hands up for promotion. 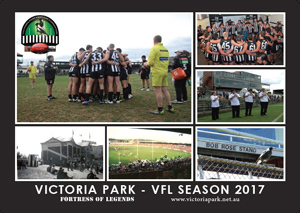 The VFL Magpies won a remarkable 8th game in a row at Frankston, with an 11goal final term. 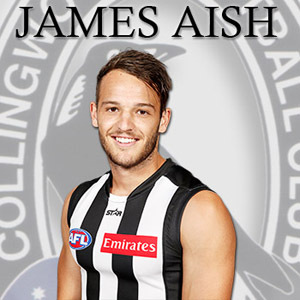 The standout listed players were Adam Oxley, Tyson Goldsack, Marley Williams and Tom Phillips. If there’s more than one change made a few of those may find themselves at Etihad on Friday night. Collingwood have to go into this game with some confidence. The performance against Adelaide, while flawed, showed that the consistent effort has returned for the Pies and when that’s there only the best teams feel safe against them. At the moment North Melbourne aren’t a top side, in fact they are one of the most out of form in the AFL, so the Pies will see this as a chance to get back on the winning track. Plenty has been spoken about North Melbourne’s last 5 games, which of course have been all losses. Blame is being placed on the older players by most in the media, yet the problem is deeper and more serious than that. Not too much is working for the Kangaroos at the moment, with the early capitulation against the Power showing just how far they have fallen. They’ve had a tough draw throughout those losses, but should have been closer to Port last week. Brent Harvey will equal the AFL/VFL games record on Friday night, and that might just be the spark that this struggling team needs to turn their season around. In those first 9 games North’s forward line looked as good, if not better, than any other in the AFL. The last 5 weeks in particular though it’s struggled to put the score on the board, with an average total of only 70 per game. That won’t win you many games at all in this league. The three main tall options, Ben Brown, Jarrad Waite and Drew Petrie have been inconsistent to say the least of late, and that then makes it hard for the smaller players up forward to have an impact too. Petrie has copped a lot of criticism in the past few weeks with many calling for him to be dropped, but it’s likely the Roos stalwart will play against the Pies. The Pies backline has improved while the North forward line has digressed. What Collingwood has now down back is reliable tall defenders in Reid, Howe, Marsh and Brown. This may not be where the game is won but it’s an area North have to improve upon if they are to win. The North Melbourne forward line was on fire early in the season, but unlike the rest of the Roos team it’s still performing at a decent level. The Kangaroos won the clearances versus the Eagles two weeks back, and won more than Port after the terrible start last weekend. North still rank in the top 8 for average clearances and contested possessions so they are still able to win the ball. Where they have been lacking though is outside of those contested situations. North have looked slow in the middle over the past month, and Port in particular made fools of them with their pace and fast ball movement. Losing Shaun Higgins and Mason Wood to injury won’t help things either, with those two players being two of the better runners and ball users at the club. The good news for the Roos is that they run into a Pies side that has been struggling all year at the clearances. North really should dominate at the ball ups and throw ins, which should give them a big advantage. The North Melbourne backline, similar to the rest of the team doesn’t lack for experience. Thompson, Firrito and Tarrant hold down the three key defensive posts and do an adequate job most weeks. They aren’t flashy but they get the job done. North aren’t one of the better rebounding teams though, ranks 12th for total rebounds from defensive 50. McKenzie, Atley and McMillan do give them some run but when your key defenders are well ahead of the rest in this area, it is a concern. This week however they run into a forward line that has struggled to keep the ball inside it’s forward zone this season. While the Magpies have improved in that area in recent weeks, opposition teams still seem to be able to score on transition far too easily. Structure wise the Roos have enough cover to restrict the currently injury hit Pies forward line. The X factor here is obviously Alex Fasolo. He’s now an elite forward and if he plays, it makes life so much harder for the North Melbourne defense. There has to surely become a time when North Melbourne draw a line in the sand and say enough is enough. Their effort last week, especially early on, was woeful really, and a repeat of that could see their finals hopes slipping away in remarkable fashion. When you start a season with 9 straight wins the draw isn’t the reason, you have talent, but something has gone awry for this Roos team. There probably won’t be too many changes at selection even if several players from Werribee’s VFL team will consider themselves a chance of promotion. So the improvement must come from within, and it will be intriguing to say the least to see if North can improve enough to defeat an in form Magpies lineup. North Melbourne go into this game as betting favourites, but that is surely more based off early season than recent. If you look at just the last month of each team, it’s Collingwood that has the better form. The advantage for the Roos though is the location of this game, Etihad Stadium. The Pies simply don’t play as well there, their fans don’t go there in huge numbers and it’s an unfamiliar place for the players. This will be the Pies first visit to Etihad this year also (in a home and away game). What the Magpies do have in their favour though is form, an extra days rest and a shorter injury list. This may well be the first time this season that Collingwood has faced off against a team with a longer and more talented injury list. Of course a lot depends on the fitness of star forward Alex Fasolo, and if he passes a fitness test on Thursday the Magpies should keep their faint finals hopes alive with a win.